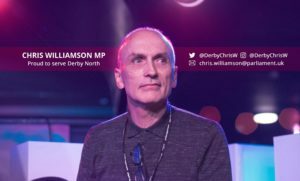 The meet Chris Williamson MP event on Friday 1 Dec at 7pm will be free of charge to attend. It will take place at the Lichfield Social Club, Purcell Avenue, WS13 7PH. This will be open to all CLP members so it is a good chance to meet our friends from neighbouring branches.